Today, the majority of students will graduate from college with at least some student loan debt. While student loan debt is often considered to be a good investment because you are improving your skills and expanding your options for employment by earning a college degree, it can still be a burden as you work to pay back your loans. In order to make sure that you fully understand exactly what you are signing up for when you take on student loans, it is very important that you read your loan paperwork carefully and that you check and double check the loan documents. Student loans are processed by the government, by private lenders and by financial aid offices at colleges and universities. While every effort is made to ensure that the loan documents are correct and accurate, mistakes can and are made on loan documentation. In some cases, these mistakes can cost you a lot of money. As such, it is extremely important that you recheck all student loan documents before you sign for the loan and whenever a transition occurs, such as beginning repayment, taking your loans into or out of deferment or consolidating your loans. Whether your address, name and contact information is correct. You do not want the bills and other loan documents going to the wrong address. You might not receive them and you could end up falling behind on your bills or missing key information about your loans simply because of a clerical error. Whether your social security number is written correctly on all loan documents. Your social security number is the link to your credit record. Lenders need to have the right number to qualify you for loans and they need to have the correct number so they can accurately report the payments you’ve made. Whether the amounts and interest rates are correct on all loan documents. This is the most important thing that you should check and it needs to be checked both when you initially take the loans as well as during your exit counseling and when you leave school and begin making payments. If the wrong interest rate information or wrong loan amount is listed, then you may later have the obligation of proving what you are supposed to actually have borrowed or paid- which can be a time consuming and daunting task. What your monthly payment will be. Many lenders offer different payment options including graduated repayment or income based repayment. You need to make sure that the right option is elected so you will have monthly payments you can afford. This option is normally selected once the repayment period has begun, and can usually be changed online in your account management tools or by contacting your lender. Still, it is best to check this at the time when you graduate so you do not have any unpleasant surprises when your first bill comes. Checking all of these different things on your loan paperwork will help you to make sure that you meet all of your student loan obligations and that you do not end up owing more than you should. 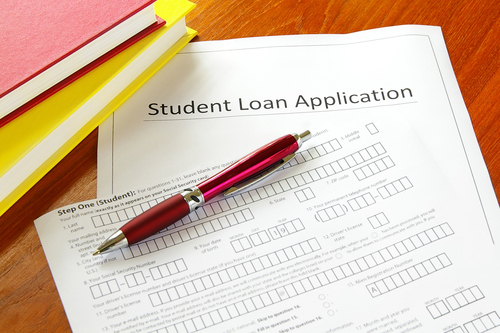 As you take loans, it is also a good idea to review the information that the school provides to you about your total loan balance and expected monthly payments so you can make sure that you aren’t getting out of control with student debt and taking on more than you’ll comfortably be able to pay after graduation.